TO BE NOTIFIED IF/ WHEN WE REOPEN PLEASE USE SIGN UP PAGE ON SITE. Being honest. This deal is downright insane. 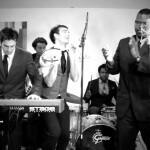 If you love PMJ and you like instant gratification and you love an amazing deal, than this is for you. 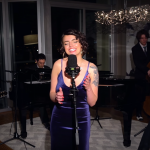 For only $29.99, you will receive an ENTIRE YEAR of PMJ tunes (yet to be released). Each week when we release a new song, it will be instantly emailed to anyone who signs up this week. The retail value of this is $67. This week it’s 55% off!! And once you pay, it’s set up, and done through Thanksgiving NEXT YEAR. We’ve been working on this idea for a VERY LONG TIME. It required the right team to support and deliver, the right time to reveal. So we’re now ready for it. But are YOU ready for such an amazing deal? This deal is immediately activated. Pay today, and receive your first song right away! THE HOW CAN YOU RESIST OFFER? For $30. 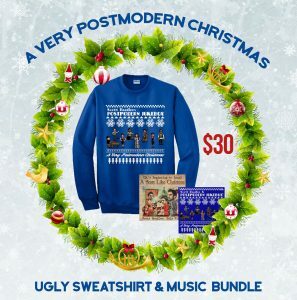 Yes ONLY $30 you can get 2 complete albums + a PMJ Ugly Christmas Sweatshirt. This include our 2 complete Christmas Albums. One Postmodern Jukebox Christmas Album + Scott Bradlee’s ‘It’s looking a SCOTT Like Christmas’ Piano Album. Here are some tunes included on these albums. This deal is pretty straight forward, and generous! 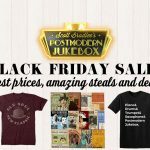 25% off STOREWIDE! This includes ALL products (apart from the 2 listed above here). Enter coupon code THANKS25 to see 25% wiped off the total order. So pick up the entire CD bundle, a single CD, a t shirt, hoodie, songbook, or all of the above! GO HERE TO GET STARTED . THIS DEAL HAS EXPIRED. create something in between. So… we did. Check out our entire store here. Use coupon code THANKS25 for 25% off!